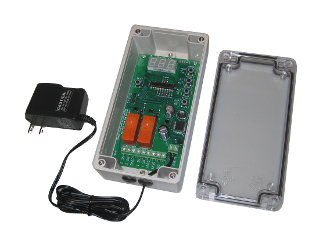 The Wind Alarm & Switch is a fully programmable controller for turning one or two electronic devices on or off based on the speed of the wind. It is manually programmed - no computer or software required. Includes a live display of wind speed with gust capture, two on-board relays, and terminal blocks for easy connection. Click HERE for access to the User Manual (PDF will be downloaded).